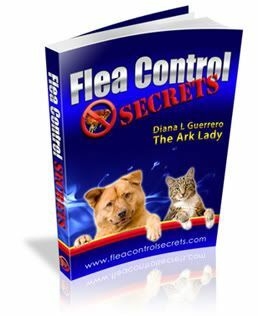 Most people think animals are a blessing according to author and animal trend watcher, Diana L Guerrero. The California scribe also says that the fur flies over some ceremonies such as pet mitzvahs and pet weddings. This week the Latina heads to New York for BEA to join the “who’s who” of the book industry and to reveal the secrets behind the timeless traditions of pet blessings and the new wave of pet ceremonies sweeping the nation. Learn more in Blessing of the Animals: A Guide to Prayers & Ceremonies Celebrating Pets & Other Creatures (ISBN 1402729677). New York, NY (PRWEB) May 25, 2007 — Is your pet a blessing? Local California author Diana L. Guerrero thinks so. She is the author of the newly released “Blessing of the Animals: A Guide to Prayers & Ceremonies Celebrating Pets & Other Creatures (ISBN 1402729677) and both will be found at the biggest book event in the United States May 31-June 4, 2007. The Book Expo America is attended by the “who’s who” of the book industry. This year the expo will be held at Jacob K. Javitz Center in New York. Over 2,000 exhibitors, 1,200 publishers, 500 authors, and 1,000 media members will attend. In addition, booksellers from all over the United States will converge in New York for previews to new and exciting titles of books just hitting the shelves. Guerrero will be amidst the weekend jungle of bibliophiles in her newest safari hat covered with animals. Her newest book, Blessing of the Animals: A Guide to Prayers & Ceremonies Celebrating Pets & Other Creatures (ISBN 1402729677) was recently released throughout the United States, Canada, Australia, and the United Kingdom. Guerrero toured extensively with her last book but is only doing local events before embarking on a virtual tour. So far, she has conducted a couple of pet blessings live on the air and pet parents have already shared that they are using it for their own ceremonies. There are also tales of muttrimony and other pet nuptials–for pets or adding critters to human wedding parties. If you need advice on hosting a purr-fect party or where to participate in a pet pageant you’ll find that included too. Guerrero included those commandments in Blessing of the Animals and you can preview excerpts online at www.blessingoftheanimals.com. For a schedule of events visit www.dianalguerrero.com. If you are attending Book Expo America drop by the Sterling Publishing booth (4138-39) to take a look. Guerrero’s book is available from most major book distributors and local bookstores throughout the United States, Canada, Australia, and the United Kingdom. Guerrero’s What Animals Can Teach Us about Spirituality: Inspiring Lessons of Wild & Tame Creatures (ISBN 1893361845) is available at the Skylight Paths Publishing booth (3249) and can be found at most major bookstores in the United States, Canada, India, the United Kingdom, and Germany.